A string of four murders in Federal Way two years ago has been solved, police there said. Prosecutors are recommending multiple murder charges against primary suspect Justice Henderson, who was 17 at the time, police officials said. there said. 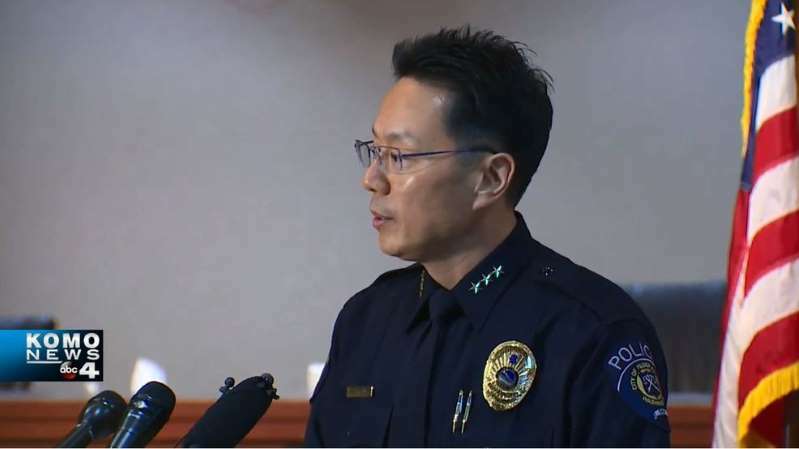 "Mr. Henderson went on a killing spree," Federal Way Police Chief Andy Wong said Tuesday during a news conference announcing the arrests. Wong said Henderson's first victim was Jeff McLaren, who was fatally shot on April 3, 2016. McLaren was just days away from his 20th birthday when he was shot dead in a parking lot outside his apartment complex in Federal Way. Wong said the motive was robbery in that case. About five weeks later, Henderson would go on to kill three people at random within a two day period, Wong said. In the early morning hours of May 9, Henderson shot 26-year-old Alex Kelley at the Arcadia Townhomes on SW Campus Drive, Wong said. That night, 27-year-old Frank Cohens, Jr. was found dead slumped over a parked vehicle, suffering from multiple gunshot wounds. The next night, 30-year-old Adam Gutierrez was fatally shot while on a late night jog with his dog. Wong stressed that the last three murders were completely random. Henderson was arrested on May 4, 2016 for an attempted murder in Pierce County, and Federal Way investigators tied Henderson to their four murders shortly thereafter. With Henderson off the streets in jail serving a 12-year sentence for that case, Federal Way investigators said they took their time to build their case in the four murders. Two other men are also expected to face charges in the murders, Wong said, identifying them as Marshae Garrison and Kamajah Skannal. Garrison is considered an accomplice in the McLaren murder and will likely be charged with first degree murder and robbery, while Skannal will face the same charges in connection with Cohens' death, Wong said.